Meyer, who announced his retirement on Tuesday (Dec. 4), said Ohio State was fortunate to have kept him. 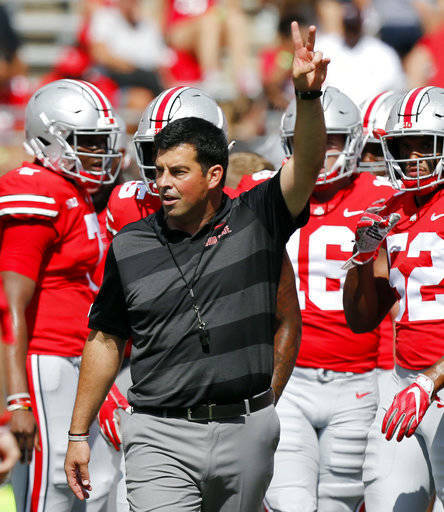 Day’s stock rose even more after the spotlight was thrust upon him in August, when he guided the Buckeyes to a 3-0 record during Meyer’s suspension for his handling of domestic abuse accusations against now-fired assistant Zach Smith. Day became a mentor to quarterback Dwayne Haskins Jr., who broke single-season passing records this season in leading the Buckeyes to a 12-1 record and finished third in the Heisman Trophy race. Smith said he started having serious conversations with Day about being Meyer’s replacement a few weeks ago. 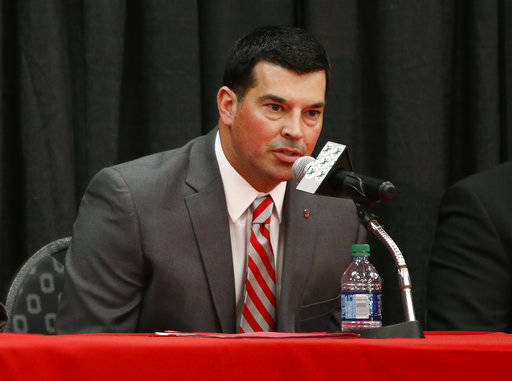 When Meyer decided to step down after the Big Ten championship game, Day got the formal job offer Monday night (Dec. 3). COLUMBUS, Ohio (AP) — Quarterback Justin Fields confirmed Friday night (Jan. 4) he is transferring to Ohio State following one season as Georgia’s backup. Fields’ arrival at Ohio State is huge for Day, who took over as coach Wednesday after Urban Meyer’s retirement. Fields was the overall No. 2 national prospect in the 2018 recruiting class and was highly sought after he announced his intention to transfer last month. Fields helped give Georgia coach Kirby Smart the nation’s top-rated signing class last year. The 6-foot-3, 220-pound Field was relegated to backup for the sixth-ranked Bulldogs behind star sophomore Fromm this season. Fields played in all 12 games, completing 27 of 39 passes for 328 yards with four touchdowns, and running for 266 yards and four touchdowns. His most significant playing time, though, came in lopsided victories against non-conference opponents. “I appreciate what coach Smart and the UGA football coaching staff have done to help me progress as a quarterback and for their patience and understanding while I thoughtfully considered my future as a student-athlete,” Fields said on his Twitter account. Wide receiver Jeff Thomas says he’s returning to the Miami Hurricanes and not transferring after all. The speedy wideout, who was dismissed by the Hurricanes in November and was set to enroll at Illinois, said in an Instagram post on Tuesday night that he’s going back to Miami. CORAL GABLES, Fla. (AP) — Jeff Thomas says he’s returning to the Miami Hurricanes. COLUMBUS, Ohio (AP) — Dwayne Haskins is NFL bound after one spectacular season as Ohio State’s starting quarterback. Haskins said on Twitter on Monday (Jan. 7) he would forgo his final year of eligibility “after many thoughts and prayers with family and close friends.” He wrote that just as it was a boyhood dream to play for Ohio State, he also dreamed of being an NFL quarterback. His sturdy, 6-foot-3, 220-pound frame, quick release and exceptional accuracy make him a top prospect. He smashed most Ohio State and Big Ten passing records, throwing for a nation-leading 50 touchdowns. He finished third in Heisman Trophy voting behind Oklahoma’s Kyler Murray and Alabama’s Tua Tagovailoa. The announcement came on a busy day for the Buckeyes. 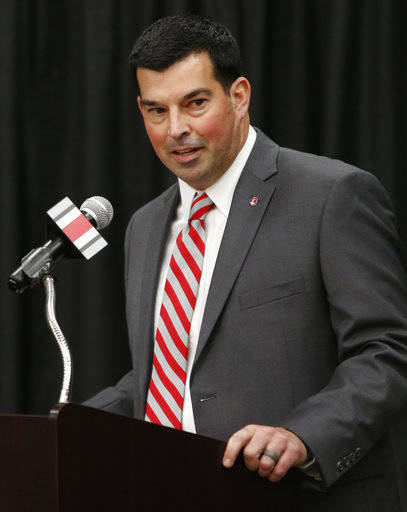 New coach Ryan Day hired a pair of new defensive coordinators — one of them from hated rival Michigan. Greg Mattison, who spent the past four years as defensive line coach under Jim Harbaugh, joined Day’s staff along with veteran NFL assistant Jeff Hafley. Greg Schiano, the defensive coordinator for the past three seasons under Urban Meyer, is out of a job. Haskins’ NFL decision was telegraphed by Justin Fields, the Georgia quarterback who announced Friday (Jan. 4) he was transferring to Ohio State. Haskins said the two talked first, and it was seen as unlikely Fields would have transferred unless Haskins was moving on. His departure will make for another intriguing quarterback derby beginning in spring practice between Fields, a dual-threat player with a big arm, and fleet Tate Martell, who already has two years playing under Day’s tutelage. Redshirt freshman Matthew Baldwin also will be in the mix. Martell, who was the heir apparent before Fields’ arrival, said he is determined to stay at Ohio State and win the starting job.